The grand opening of the Morbid Museum! 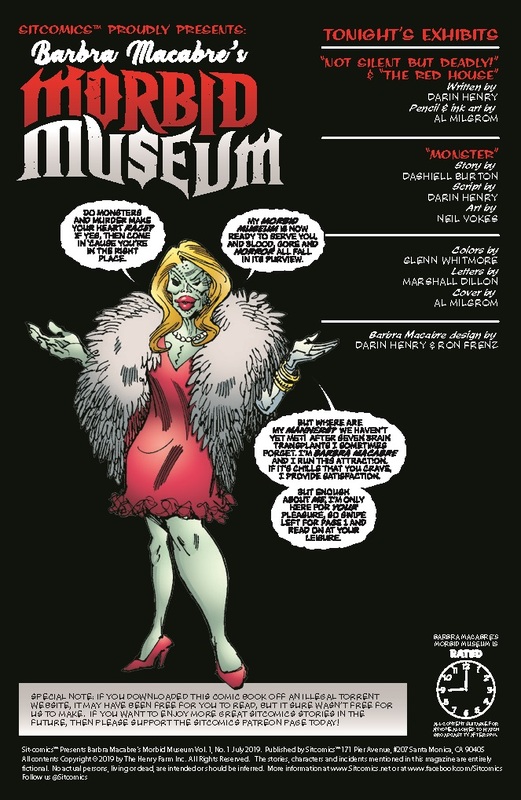 Reanimated supermodel Barbra Macabre is your tour guide for three terror-ific exhibits that are to die for. 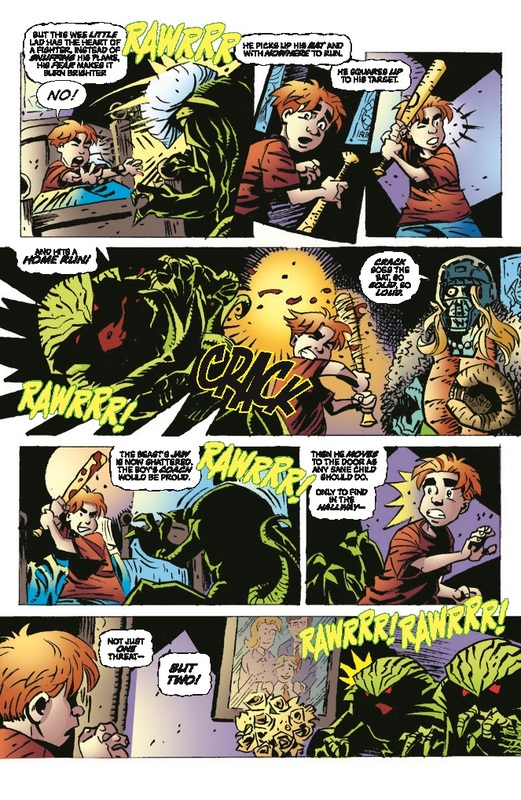 Can you imagine an EC Comic as told by Dr. Seuss and drawn by legendary Marvel artists Al Milgrom (Avengers) and Neil Vokes (Doctor Strange)? 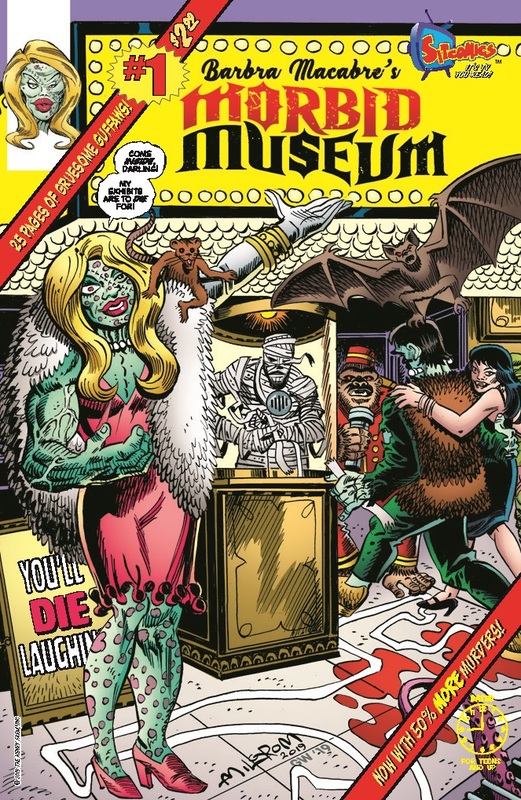 Well, you don’t have to imagine it because it already exists in the debut issue of Barbra Macabre’s Morbid Museum!